Zebra and Rainbow Lovers- the Wild Side of the Rainbow is calling you! 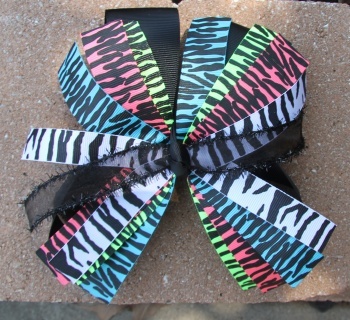 This pinwheel fashion bow has all colors of zebra prints: turquoise, hot pink, lime green and black and white. This rainbow sits on top of a black 2.25" grosgrain ribbon. 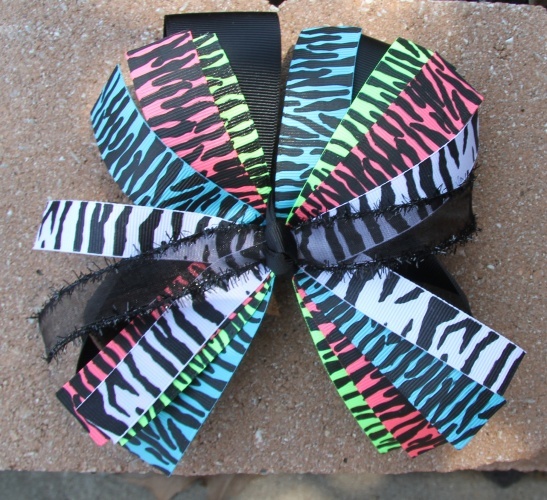 Perfect way to let your WILD side go crazy- get this bow for all your zebra print outfits and occasions.